Connect people and make the world smaller with this multifaceted Whatsapp Clone Script with cross-platform instant messaging and Voice over IP service. Get your next-generation multilingual virtual hangout spot for iOS and Android that allows closed groups, video calls, image/media/location sharing with end-to-end encryption. Users can instantly use the app without having to create an account and start chatting away to their friends, family and colleagues. Our profile management feature allows users to manage profiles, update profile picture, their status, change phone number and much more with ease. Users can share documents either to an individual or a group in popular formats like PDF, PPT, DOC, XLS and TXT. Users can control the app privacy settings individually for their profile picture, status, last seen etc.. They can also choose to tweak them for certain contacts as per their discretion. With this feature, users can set the conversation alert, message notifications and group notifications hassle-free. 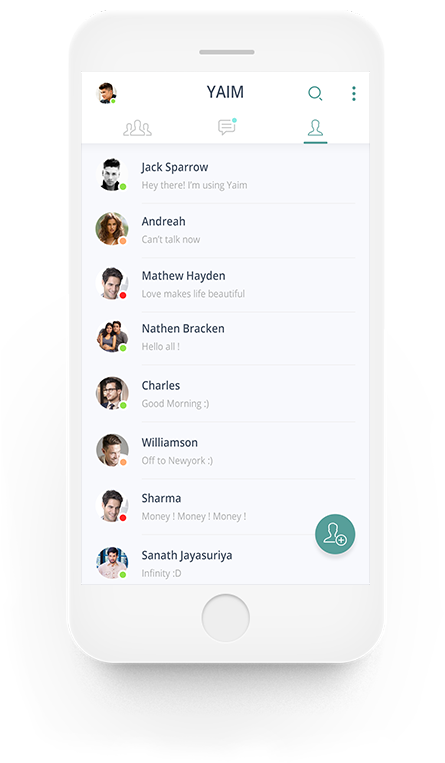 Users can enjoy the free and unlimited video and voice calls between their app contacts with ease. They can perform an individual call or even a group call as per their convenience.